There is a large tomb complex situated over five kilometres due east of Tel el Amarna, which is approached from the valley between the northern and southern groups of tombs. 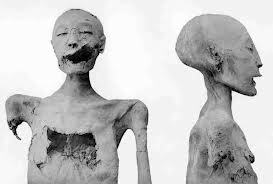 It was ravished after the death of Akhenaten and is not open to the general public. Recent studies have led Egyptologists to believe that the complex was originally intended for the entire royal family, which would make it unique among royal tombs. 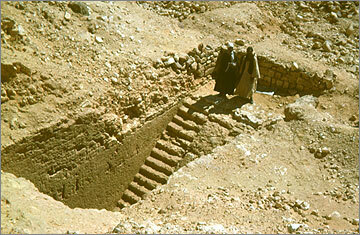 Also, it is believed that Akhenaten was buried there, though his body has not been found. Few reliefs remain. One is a scene expressing great sorrow by Akhenaten, Nefertiti and the whole court, at the death of the princess Meket-Aten.